Who is sovereign in the United States? Is it the people themselves, or is it an elite determined to rule citizens who are seen as incapable of making choices about their own lives? This is the central question in the American gun-control debate. 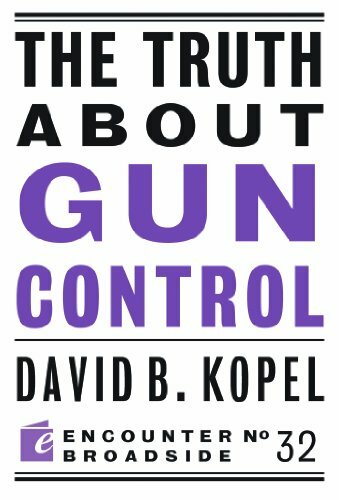 In this Broadside, David Kopel explains why the right to keep and bear arms has always been central to the American identity -- and why Americans have always resisted gun control. The American Revolution was sparked by British attempts to confiscate guns. After the Civil War, the U.S. changed the Constitution to defeat the nation's first gun-control organization, the Ku Klux Klan. When Hitler and Stalin demonstrated how gun registration paves the way for gun confiscation, which paves the way for genocide, Americans resolved to make sure it never happens here. Gun control is not an issue of left vs. right or urban vs. rural. The right to bear arms is crucial to prevent large-scale tyranny by criminal governments and small-scale tyranny by ordinary criminals -- and to protect our Constitution.